Daily Posts! Free SVG, SCAL, and CDS files mixed in with cards and layouts! 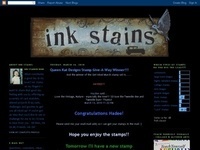 Loves Rubberstamps Official Blog - This is the Company Blog for Loves Rubberstamps. You will find lots of inspiration, tips, tutorials, techniques, and we have monthly blog challenges for fun and prizes. Shirley's Cards - My place for showing the templates I design for Silhouette and other digital cutting machines. Files available in Silhouette Studio, GSD and SVG formats. Freebie files are added on a regular basis.